Members of Axilum Robotics’ Scientific Committee include Bernard Bayle, Michel de Mathelin and Pierre Renaud. All three are worldwide recognized specialists in medical robotics. They were involved in the development of the TMS Robot proof of concept and are co-founders of the company. Bernard Bayle is a former student of Ecole Normale Supérieure de Cachan, France, where he received the agrégation degree in Electrical Engineering, in 1995. He holds the M.S. and Ph.D. degrees in control theory and robotics from the University of Toulouse (LAAS-CNRS), France, in 1996 and 2001, respectively. He became Associate Professor at Telecom Physique Strasbourg, France, in 2002, where he created the ICTs & healthcare curriculum. He has been Professor at Telecom Physique Strasbourg since 2011. He is a member of the Automation, Vision and Robotics research group of the ICube Laboratory (UMR 7357). His research interests include design, modeling and control of robotic systems, with a focus on medical robotics and force feedback technologies. 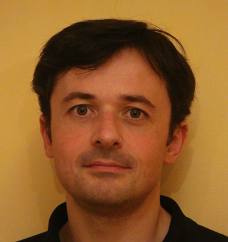 He is coordinator from the medical robotics theme at CNRS robotics research group. Michel de Mathelin received the Electrical Engineering degree from Louvain University, Louvain-La-Neuve, Belgium, in 1987 and the M.S. and Ph.D. degrees in electrical and computer engineering from the Carnegie Mellon University, Pittsburgh, PA, in 1988 and 1993, respectively. During 1991-1992, he was a Research Scientist in the Department of Electrical Engineering, Polytechnic School of the Royal Military Academy, Brussels, Belgium. In 1993, he became Associate Professor at the University of Strasbourg, France. Since 1999, he has been Professor at Telecom Physique Strasbourg. He led the Automation, Vision and Robotics research group during 12 years and became Director of the ICube laboratory (UMR 7357) in 2013. His research interests include medical robotics, visual servoing and control theory. He is coordinating ROBOTEX, the French national network of robotics platforms selected in 2011 as an Equipex in the Investissements d’Avenir program. He has co-authored more than 150 international referee journal and conference papers. From 2003 to 2011, he was Associate Editor of the IEEE Control System Technology Journal. With his co-authors, he received the IEEE ICRA 2004 Best Vision Paper Award and the 2005 King-Sun Fu Memorial Best IEEE Transactions on Robotics Paper Award. Michel de Mathelin is a fellow of the Belgian American Educational Foundation and IEEE Senior Member. Pierre Renaud is a former student of the Ecole Normale Supérieure de Cachan (ENS), France, where he received the agrégation degree in Mechanical Engineering, in 1999. He received the M.Sc. Degree in Mechanics and Materials from the ENS Cachan in 2000 and the Ph.D. degree in Robotics from the Clermont-Ferrand University, France, in 2003. 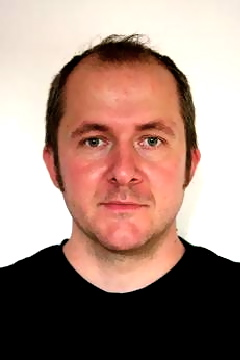 He became Associate Professor at the INSA in Strasbourg in 2004. He was a Visiting Associate Professor at Stanford University, USA, as a Fulbright fellow in 2010-2011. His research interests include medical robotics, mechatronics, mechanical design and compliant mechanisms. In 2013 he took the head of the Automation, Vision and Robotics research group (34 people) of the ICube Laboratory (UMR 7357) in Strasbourg.